A black flamenco, completely solid and with cedar top. A very beautiful guitar of great quality. 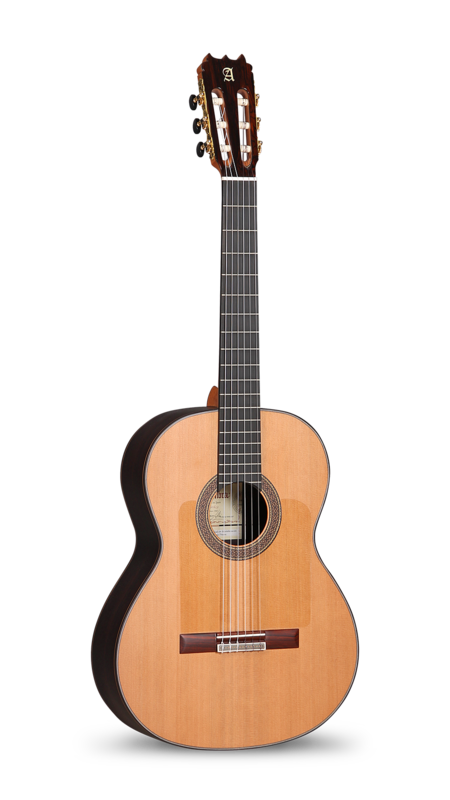 This model has been developed in collaboration with the flamenco guitarist Carlos Piñana, which has introduced technical specifications that define an instrument with the qualities required by today's flamenco guitarists, obtaining a very beautiful and high quality flamenco guitar . As a differentiating element of the 10 Fp Piñana, the design of the head is evident. A horn-shaped top with a glossy finish that easily identifies this instrument and gives it a lot of personality. 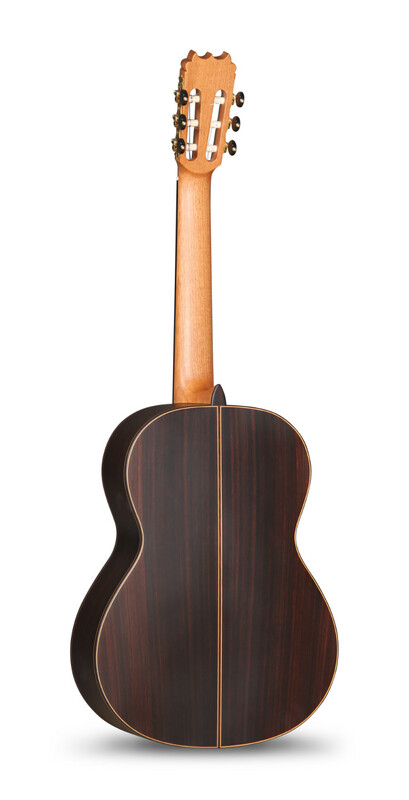 The 10 Piñana Fp model is a guitar called “black”, due to its main feature, the use of Indian rosewood solid to make the back and sides. Although we highlight the choice of the solid cedar for the top. 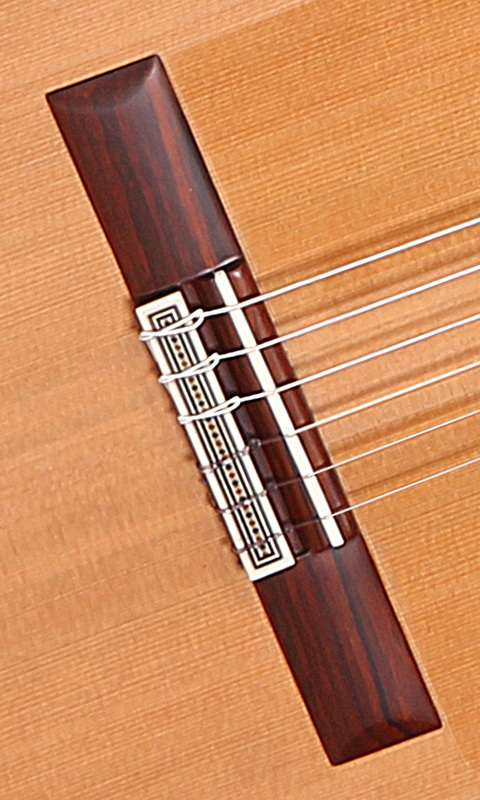 A rare feature in flamenco guitars, but after a development process, by means of a special configuration of harmonic bars, a more round sound is obtained, or in other words a more delicate sound, but without losing the flamenco character. Also in the case of the 10 Fp Piñana the finish is matt, a finish that requires a smaller amount of varnish and through which a more powerful sound is achieved. 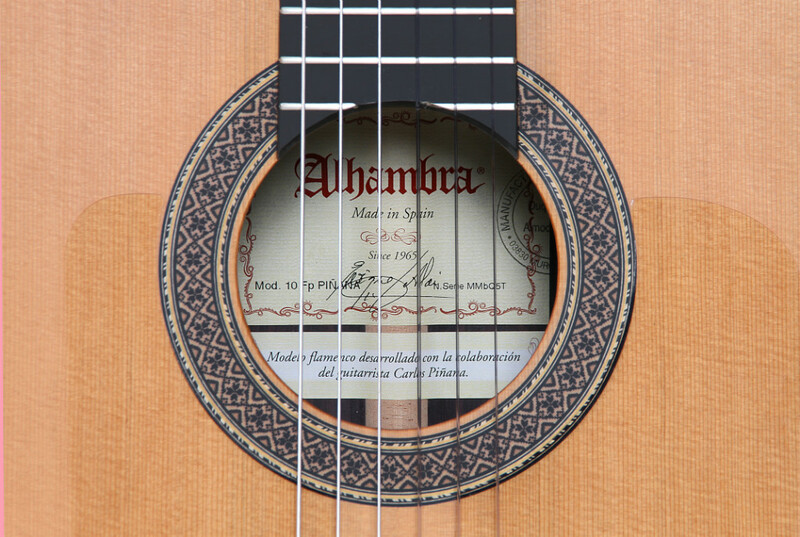 A guitar with a very flamenco sound but with a special warmth, an adequate sound to be able to interpret the current flamenco music, but without losing the tradition of this art. 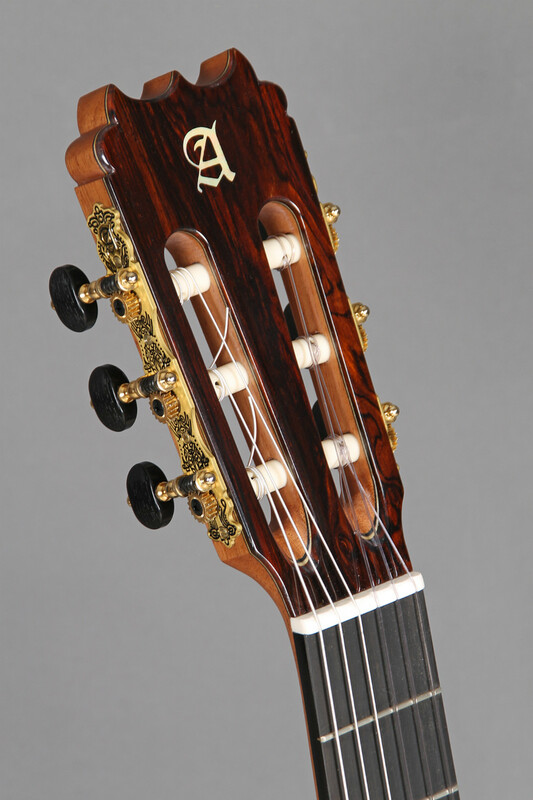 The 10 Fp Piñana model is crafted with luxury gold machine heads and a very comfortable neck with ebony reinforcement. An instrument that by its aesthetic characteristics has a lot of elegance and personality. Qualities that are strengthened when they join the sound of this interesting guitar. DECKE: Massive Zederndecke . Transparentes Schlagbrett.